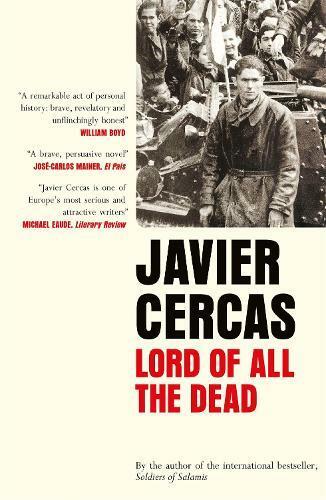 Lord of All the Dead is a courageous journey into Javier Cercas' family history and that of a country collapsing from a fratricidal war. The author revisits Ibahernando, his parents' village in southern Spain, to research the life of Manuel Mena. This ancestor, dearly loved by Cercas' mother, died in combat at the age of nineteen during the battle of the Ebro, the bloodiest episode in Spain’s history. Who was Manuel Mena? A fascist hero whose memory is an embarrassment to the author, or a young idealist who happened to fight on the wrong side? And how should we judge him, as grandchildren and great-grandchildren of that generation, interpreting history from our supposed omniscience and the misleading perspective of a present full of automatic answers, that fails to consider the particularities of each personal and family drama? Wartime epics, heroism and death are some of the underlying themes of this unclassifiable novel that combines road trips, personal confessions, war stories and historical scholarship, finally becoming an incomparable tribute to the author’s mother and the incurable scars of an entire generation.